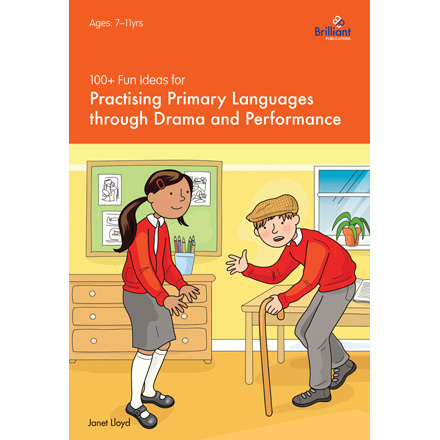 Whatever language you are teaching at Key Stage 2, 100+ Fun Ideas for Practising Primary Languages through Drama and Performance will provide you with a wild variety of creative teaching ideas. The activities in this resource are linked to the Foreign Language Programmes of Study in the new (September 2014) National Curriculum. An invaluable resource for non-specialist and specialist teachers alike. 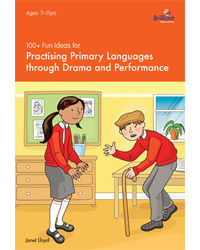 100+ Fun Ideas... has been developed for use with children at Key Stage 2 (age 7 - 11) who are learning any foreign language (including English as an additional language!). Click on the images below to download sample activities from 100+ Fun Ideas for Practising Primary Languages through Drama and Performance.